It can be a little overwhelming the amount of stuff that comes with expecting a baby. Strollers, car seats, cute little outfits, receiving blankets, diaper bags, the list can go on and on. And those things can easily come to mind when thinking of gifts for new moms. You may feel urged to give her something practical and functional that she’ll need for the baby. But this holiday season save all those things for the baby and give the Mom-to-Be in your life gifts that will help Mom have a happy and healthy pregnancy. As a Mom and a Childbirth Educator, I compiled a list of some of the things I’d want to get if I was expecting and feel free to add your favorites in the comments! During pregnancy there’s so many new experiences, thoughts, and feelings. I love the design for this journal; it’s simple and inclusive. It also has plenty of prompts on what to write about yet leaves plenty of room to fill in her own thoughts and feelings. She’ll love having a journal that helps her reflect on her pregnancy and a keepsake she can give to her child when they’re older. Staying hydrated during pregnancy whether by drinking water, homemade smoothies, or herbal tea will be so much easier using a stainless steel RTIC tumbler. My favorite thing about it is it keeps your drink cold for up to 24 hours and your drinks hot too. Plus, they come in so many great colors! Give the gift of education! I believe education is an important key to having an amazing birth experience. The Birth Boot Camp 10-Session Comprehensive Childbirth Class is fun and interactive and covers absolutely EVERYTHING. She’ll leave class with her birth partner feeling confident and prepared! To Buy: $300.00, Birth Boot Camp Comprehensive Childbirth Class taught by Melanie Galloway in Austin, Tx. Contact Melanie today to gift this class. In addition to purifying the air and putting out negative ions, Himalayan salt lamps are perfect for providing a calming atmosphere with its amber glow to help create a sense of peace and relaxation. 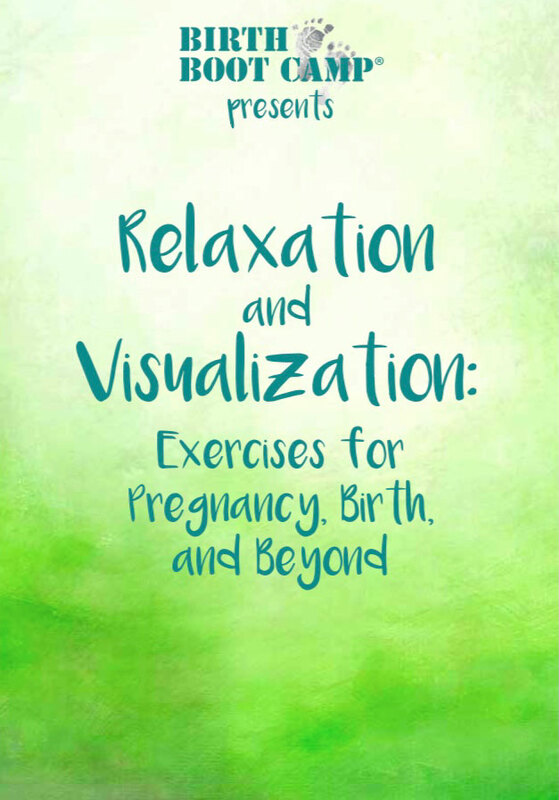 Practicing relaxation and visualization techniques during pregnancy is so beneficial to preparing both emotionally and mentally for birth and beyond. This spiral-bound book is small enough to fit in a purse and contains 102 pages of beautiful artwork, physical relaxation exercises, and 18 relaxation scripts that are sure to inspire and relax. I don’t know how Aveda does it, but this overnight moisturizer and eye cream is amazing! Who doesn’t want to wake up with luminous, wedding-day skin—every day. 97% naturally derived and suitable for all skin types, these skincare products will help support the skin’s natural repair processes during the night to smooth the appearance of lines and wrinkles and give skin a firmer and more lifted look. Let’s face it. There are a lot of pregnancy books and information an expecting mom will read during her pregnancy. It can be overwhelming! Taking a break and reading a non-pregnancy related book can be really beneficial for the mind and spirit. Jenny Lawson’s book, Let’s Pretend This Never Happened, is my favorite book that I recommend to all my friends if they’re looking for a fun, easy read and wanting a great laugh. Because you will…A LOT! Foam rolling or “Self-Myofascial Release” is a wonderful form of self-massage and can be a great daily alternative to alleviate any muscle tension. Using a foam roller and it’s benefits during pregnancy is a topic covered in the Birth Boot Camp Comprehensive Childbirth Class, so this would be a great gift idea for someone taking that class. Two of my favorite essential oils for pregnancy are Lavender and Peace & Calming essential oil blend. When inhaled, these essential oils decrease stress, improve mood, and promote relaxation. Lavender is a great beginner oil and definitely a great staple essential oil since it is so versatile. Nothings better than putting on a pair of cozy pajamas or a soft robe. This robe from Target is made from soft, chenille yarn and is the ultimate pick for cozy relaxation. Prenatal massage is so great during pregnancy as it can improve the overall mental and physical health for many pregnant women. It’s a wonderful way for her to be able to focus on herself and have some ultimate relaxation. I don’t know anyone who has regretted getting a pregnancy photo shoot, but I know plenty who regret not doing it or not having them taken by a professional photographer. Capturing those memories of having a big baby bump will be something she’ll always cherish. For a photographer referral in the Austin area, contact Melanie today! Important: This post contains affiliate links from Amazon, Birth Boot Camp, and Young Living . This means the price will be the same for you and I’ll receive a credit or a commission should you chose to sign up for a program or make a purchase using my link. Please note that I only recommend tools that I personally use and love and know you will too! When I found out that I was pregnant with Landon, I was beyond happy. My husband and I were newly married and I was excited to embrace this new chapter in our life. Little did I know, I was about to go through one of the hardest things that I have ever experienced. Hyperemesis Gravidarum (HG) is a pregnancy-related disease that approximately five women out of a thousand will experience (McCall, 2006, pg. 17). And I was one of them. HG sufferers experience severe vomiting and/or extreme nausea, malnutrition, weight loss, and dehydration. To make matters worse, my husband and I moved during my pregnancy to a very small town in Southwest Texas. With no family or friends living close by and living in a town that had very limited resources, those were some of the darkest days I have ever had. Jason would leave for work and I would be left to fend for myself. The days went by so slowly that I thought I wouldn't get through it. I lost 10% of my total body weight and was so weak that it was hard to do even the most basic things in life, like make myself something to eat or even shower. I felt alone and trapped inside my body forced to endure the same day, day after day with no relief. I felt guilt that I wanted to end a pregnancy that we had so dearly wanted. I felt ashamed that I wanted to die just to no longer suffer. The illness even made it difficult to even advocate for myself to receive proper care. It was hard enough just getting to the doctor's appointment and sitting in the waiting room for an hour or more to be seen. Sometimes, just having to leave because I just couldn't physically wait any longer for the doctor. The two obstetricians that I saw during my pregnancy, offered little support and told me just to eat whatever I could. It wasn't until the middle of my second trimester, that I found the San Antonio Birth Center and started my care there that I had someone to help restore my health. And then into my third trimester, the nausea and vomiting eventually became less and less. My focus changed from just trying to survive day to day to focusing on becoming healthy enough to have a natural birth. You can read Landon's birth story here. At 32 weeks pregnant at my baby shower. Hyperemesis Gravidarum robbed me of what I thought pregnancy would be like. It robbed me of loving my baby while it was growing in my belly. It robbed my husband and me of what was supposed to be an amazing time in our lives. I have been working for the past 2 years towards having another child, trying to heal and prepare my mind, body, and soul to endure HG again. The fear is ever present when I think about getting pregnant again. I'm scared of being that sick again. I'm scared that I won't be able to take care of my family. I'm scared that Landon will be scarred seeing what HG can do to someone he loves and depends on. I'm scared, but this time will be different. Like Maya Angelou famously said, "Do the best you can until you know better. Then when you know better, do better". Preparation, education, and support are the keys to overcoming Hyperemesis Gravidarum. This time, I will be able to advocate for myself and get the medical treatment I deserve. This time, I have resources and know of the many treatment plans that are available me. This time, I might have HG again but it will not have me. McCall, A. F. (2006). Beyond morning sickness: battling hyperemesis gravidarum. Charleston, SC: Booksurg.com. Almost 4 years ago, I bought a book called Oola: Finding Balance in an Unbalanced World. The book is about the 7 areas you need to balance and grow to live the life of your dreams. Who wouldn't want to do that? Live the life of your dreams, yes please! I read it cover to cover all in one sitting. In honesty, it is only 241 pages. But still, it was a great read! I laughed, I cried. Trust me you'll cry to when you read chapter 17, too. But in the end, I wasn't ready to work through what was keeping me from reaching my true potential. Frankly at that time, I was just trying to survive raising a 1 year old and battling a variety of issues like clogged milk ducts and mastitis. Fast forward to present day, I saw on Facebook that the OolaSeeker, Dave Braun and OolaGuru, Troy Amdahl were coming to Austin to do a book signing and Q&A. The stars had aligned and I got to have my book signed and meet them today! We bonded a little over the fact that I had one of the earliest editions of the book. They have a new book out that is called, Oola for Women: How to Balance the 7 Areas of Life to have Less Stress, More Purpose & Reveal the Greatness Within You. I can't wait to read it! During the Q&A, Dave talked about how they want to change the world with just one word: Oola. What does that even mean? How can just one word change the world? Oola is when your life is "Ooh La La" great in all areas. Dave explained, it is so easy to get caught up in the endless To-Do Lists of housework, running errands, running kids to school and to activities, you name it. He gave the analogy of going to Niagara Falls, being on the boat, and only seeing the mist and nothing else. You're too close and in the thick of life to change anything. "When you're in the mist, you can't see the beauty in your own life. Step outside of the mist". Dave challenged us to step back from the hustle and bustle, just long enough to read the book and think about where you are at in your life and where you want to be. Dave went on to talk about that Oola is a ripple effect. If just 1 woman reads the book, works on balancing and growing the 7 areas of her life. She then becomes the best mother, wife, friend, sister, person that she can possibly be. She impacts her family. Then that family impacts those around them and so on and so on. Therefore, changing the world with people who are reaching their potential and living their dreams. I have been guilty of letting the daily grind of life take over. What about you? I think it's about time, for not just me but everyone to consider stepping out of the mist and into the life of your dreams. Landon's birth story begins on May 26th when I began having contractions. His due date was June 2nd, so I was caught me off guard because in my mind I still had a week to go. I completely panicked, which made the contractions feel worse so I thought this was go time! I contacted my midwives, my doula, my parents, everyone. We lived in Uvalde, so it was almost a 1.5 hour drive to San Antonio to the San Antonio Birth Center. I kept having contractions through out the day, but things weren't progressing. I thought maybe it was because I wasn't fully allowing myself to let go and labor with the thought back in my head of having that long drive to San Antonio. So we decided to go to a hotel in San Antonio, where I could relax and labor freely and be in close proximity to the birth center. My parents drove down from Fort Worth thinking this was it and my in-laws were on high alert, waiting to hear if they should drive to San Antonio too. But come to find out, it wasn't 'go time' after all. I was having Braxton Hicks Contractions. But because I was stressed out and feeling not ready, it made the contractions feel worse. We went home the next day and I felt terrible! We had wasted money on a hotel, my parents had drove all the way to San Antonio, my in-laws were on high alert, and I felt like a watched pot waiting to boil. A week went by of contractions coming and going and I finally got used to them. I also spent the week trying to get everything that needed to be done. You know, important stuff like turning socks into baby leggings. Very important! On his due date, we decided to go to the Shops at La Cantera in San Antonio and enjoyed spending the day together shopping and walking around. We drove home and decided to watch a movie and relax. Before we knew it, it was almost midnight. We got ready for bed and while using the bathroom, my water broke. I expected my water to break in a big whoosh and then stop like in the movies. But the amniotic fluid just kept coming out with each movement and contraction and I was not prepared for that. I went thru my postpartum diaper/pad stash pretty quickly. Since it was midnight and my water broke, I let my midwife know and tried to go to sleep. But my contractions were progressing right along. Laying down made them feel worse, so I tried taking a relaxing shower, labored on my birth ball, and just tried to take it easy. At around 4am, we decided to go to the hotel and labor since I didn't want to be in active labor during a long drive. The hotel room we had the week before was big, it had a living room and a separate room for the bedroom. It also had a big bathroom and bathtub. Unfortunately, the hotel room we got this time was just a standard room and had a standard bathtub. I tried to make due with what I had, but it was definitely uncomfortable. I was trying to be quiet since Jason was right there trying to sleep and there wasn't much room to move around. Plus, since the bath tub was a standard size, I couldn't fully submerge myself and get good relief from the water. Around 7am, I felt like it was time to call our Doula. It was becoming increasing more difficult for me to cope with the back labor I was having all by myself. When she arrived at 8:30, we decided to go to the birth center so that I could be more comfortable. At the birth center with a new environment, I lost my rhythm and had difficulty finding a laboring position that felt comfortable. I completely panicked, making the contractions and back labor feel 100 times worse. My doula and midwives guided me to sit backwards on the toilet and that position was great! I could relax my bottom and get counter pressure on my lower back to counteract the back labor. In my mind, I was envisioning I was riding a bike. I'm sure I looked ridiculous, I was swaying the best I could to provide movement and pumping my legs like I was on a bike. I was in that position for a long time and they eventually helped me get into the bathtub to change things up and to provide some relief. The warm bath was amazing! Immediately my body completely relaxed, my contractions stopped, and I was able to fall asleep. Eventually my contractions started again and I labored in the bathtub for the rest of the time. Every time I tried to get out of the water, the contractions felt differently and more intense than they were in the water. I did a lot of vocalizing and envisioning I was opening like a flower. As I was transitioning with contractions one on top of one another, I envisioned the contractions were waves. Wave after wave washing over my body. Then, there was a pause in my contractions. My body was giving me a break for what was to come. When my contractions started again, they were different than the contractions I had been having. The pressure in my bottom was intense and it caught me off guard making me tense my body up. My midwife checked me and said I was fully dilated if I wanted to try to push. I tried and I'm sure she had to suppress a laugh, because it was the wimpiest push ever. I had no idea how much force and effort it would take to push. Being in the bath tub made it difficult for me to get in a comfortable pushing position and have enough leverage to push. But getting out of the bath tub was too intense. One of my midwives, got behind me and supported me under my arms and I put my legs against the side of the tub and gave it all I had. When I felt him crowning, I began blowing to ease him out. I caught Landon and pulled him out of the water at 1:45pm on June 3rd. It was hard work, but I did it! It was the most amazing and transformative experience of my life! Sharing birth stories is a powerful way to change our birth culture and inspire other mothers.